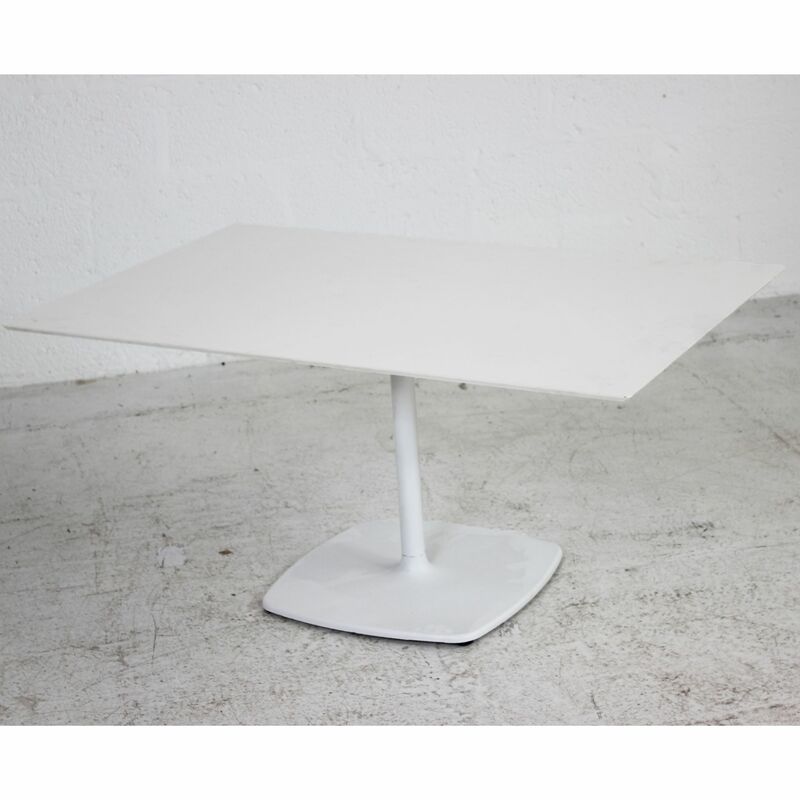 A white rectangular coffee table on a single elegant pole base. 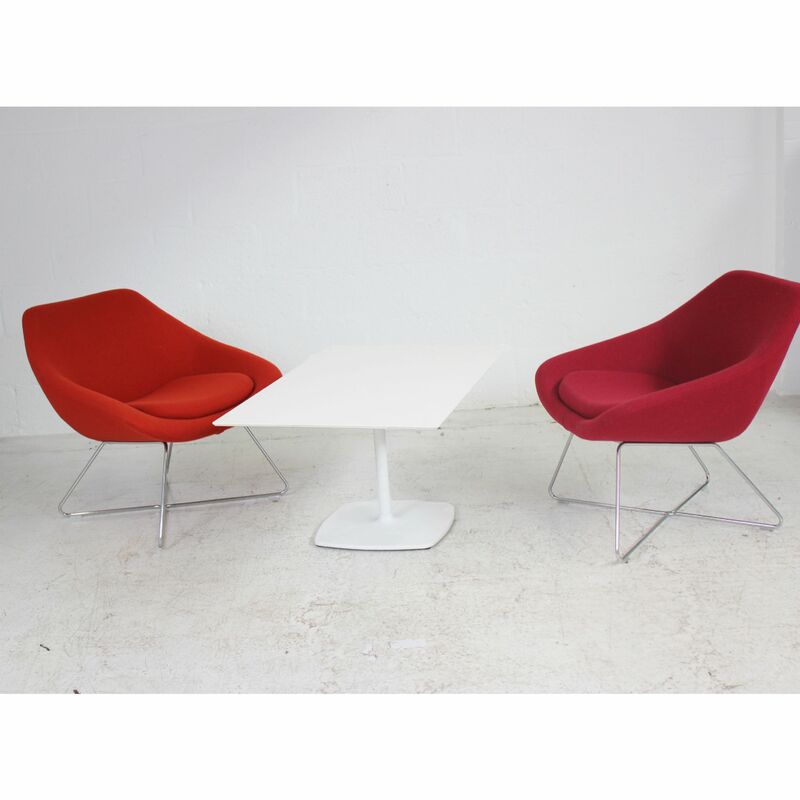 This modern occasional table offers a simplistic style whilst being able to offer itself to various environments. 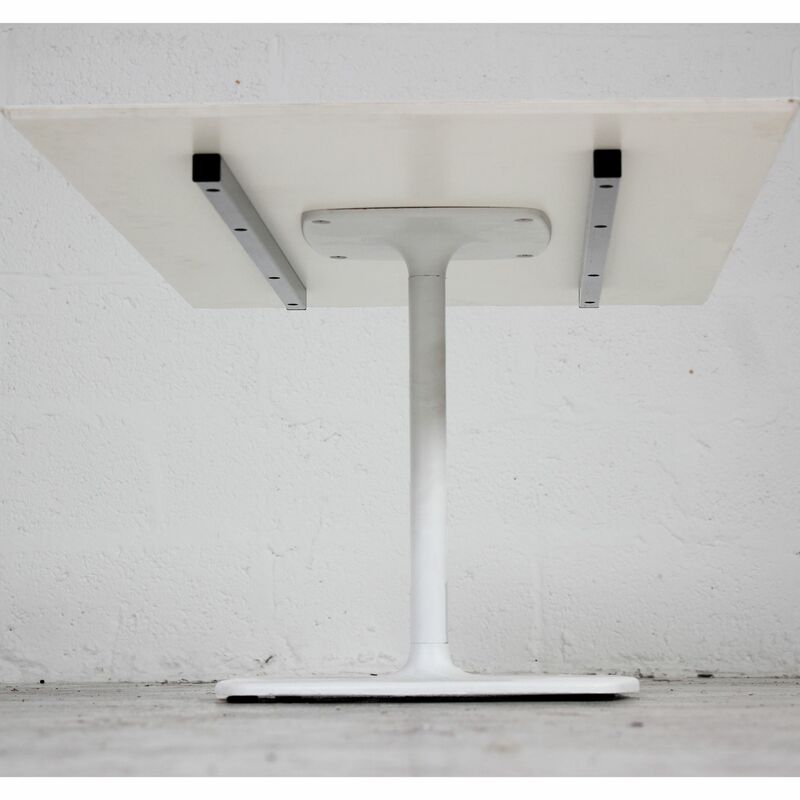 The slim white MFC table top sits on a slim pole base thats joined to its rounded square base plate, all matching in colour and complimenting design. If you're looking for quality used coffee tables like this low table then Barkham Office Furniture is the place to visit. For more information on the round table please don't hesitate to get in touch.